Jordan Zacharia is so excited to serve as the Dean of Elementary Education at our El Dorado Hills campus. With over eleven years of teaching experience in a variety of subjects and grade levels, Masters of Education in Educational Leadership, and extensive work done with diverse communities while in Peace Corps, Mr. Zacharia feels incredibly honored to help lead this campus. Mr. Zacharia moved from Virginia last year where he worked as a teacher and head swim coach. He currently resides in Fair Oaks with his beautiful wife and three young children. 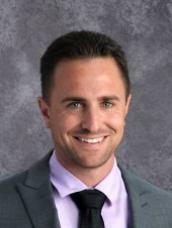 In his free time, Mr. Zacharia enjoys instructing competitive swimmers, gardening, and engaging in various forms of physical fitness like hiking and swimming.